Are you hungry for pi? 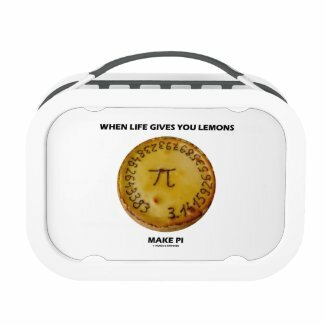 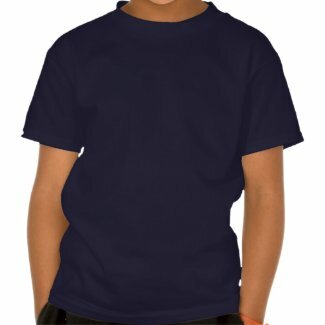 Showcase your wry mathematical constant side with any of these gifts featuring the irrational number pi on a baked pie along with the following truism saying for all pi fans: "Make Everyday A Tasty Pi Day". 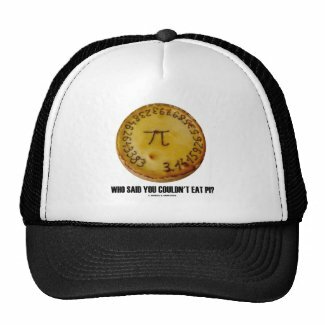 No need to wait until March 14th to enjoy any of these pi saying humor gifts! 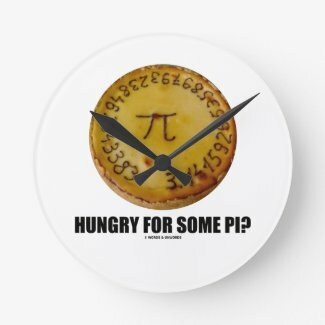 Today is Pi Day -- March 13th -- so a special treat is in order for any pi fan. 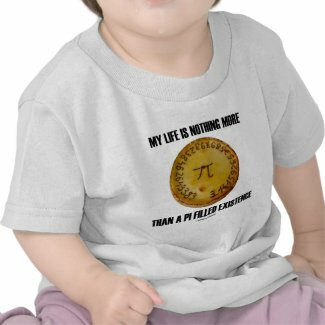 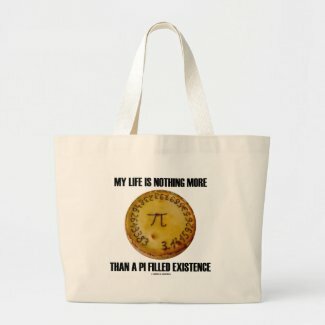 Mathematicians and non-mathematicians will enjoy any of these gifts featuring pi on a baked pie along with the tongue-in-cheek saying "My Life Is Nothing More Than A Pi Filled Existence". 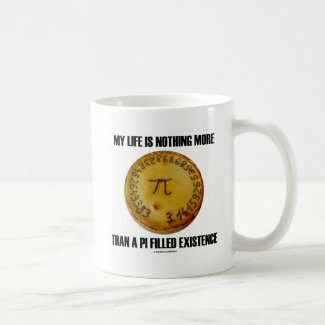 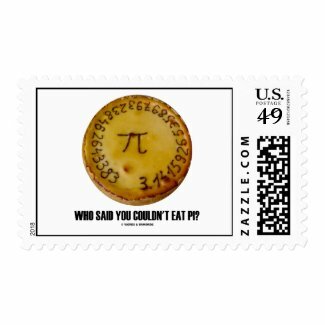 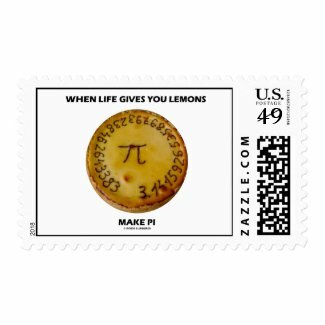 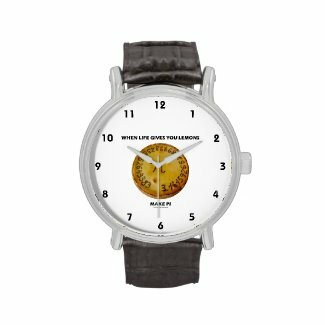 Existential humor gifts for all who think about pi all the time - especially when eating pie! 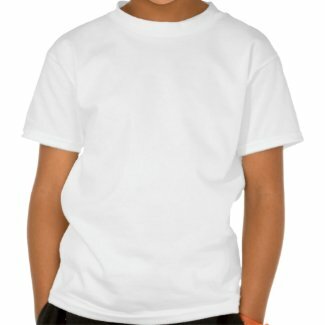 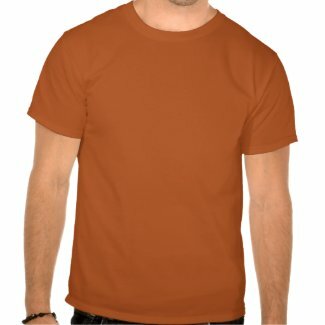 Create a href="http://www.zazzle.com/custom/stamps?rf=238405421968423971&tc=SQSPCMYLFISNTHNGMRTHNAPIFLLDEXSTNC3.13.15">custom photo stamps at zazzle.com. No need to be a mathematician or a cook to enjoy wry baked pie / pi humor with any of these gifts featuring a twist on the old saying. 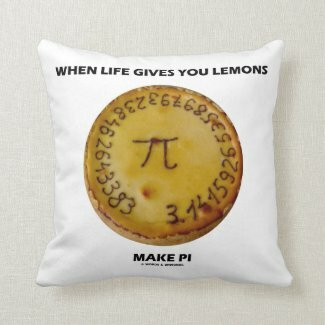 Saying says it all: "When Life Gives You Lemons Make Pi". 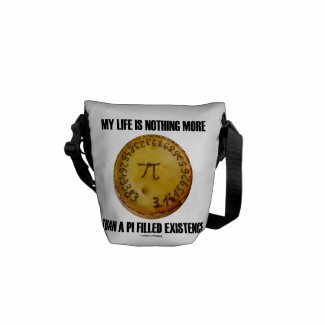 Make others do a double-take at what you mean with a dose of mathematical constant attitude with these timeless gifts! 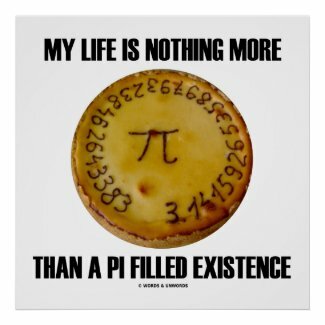 Geek humor for all who know how to be happy in life and are fans of pi! 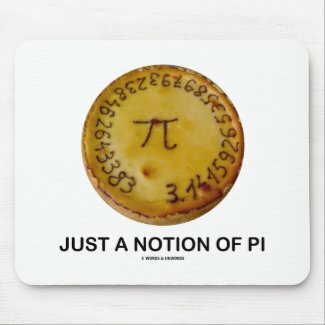 Pi fans who love to eat will enjoy wry mathematical constant humor on any of these gifts featuring pi on a pie, along with the truism saying "Just A Notion Of Pi". 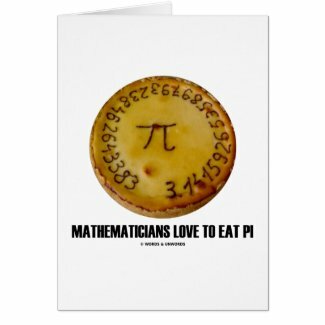 Make others do a double-take the next time they eat pie with any of these pi saying gifts! 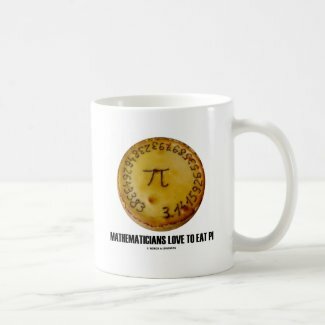 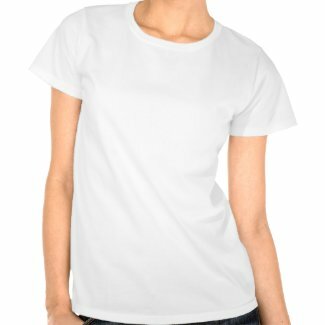 Memorable gifts for any hungry pi lover! Do you find pi tasty? 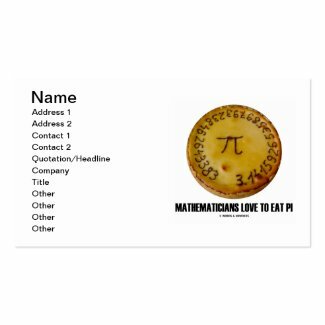 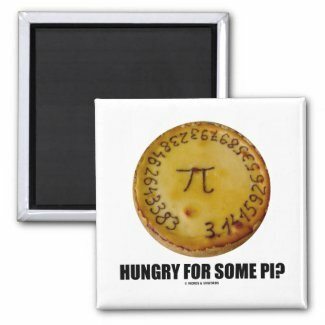 If you have an appetite for pi, the mathematical constant, you'll enjoy any of these wry pi humor gifts featuring pi on a pie, along with the truism caption "Hungry For Some Pi?" Memorable gifts for math teachers and students who are hungry for pi! 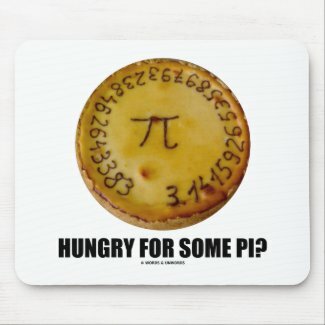 >Are you hungry for pi? 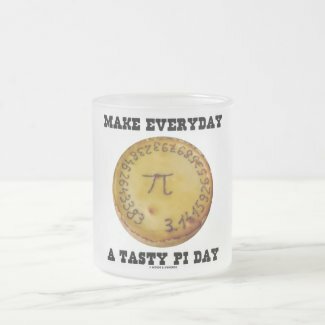 Showcase your wry mathematical constant side with any of these gifts featuring the irrational number pi on a baked pie along with the following truism saying for all pi fans: "Make Everyday A Tasty Pi Day". No need to wait until March 14th to enjoy any of these pi saying humor gifts! 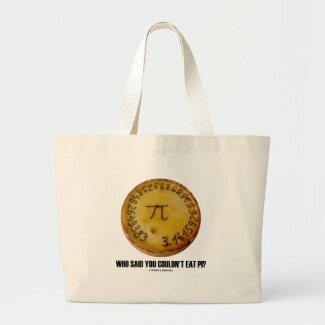 Do you think about pi whenever you eat some pie? 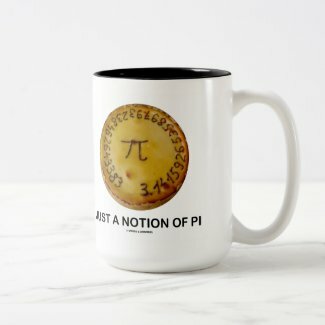 Are you crazy for some pi? 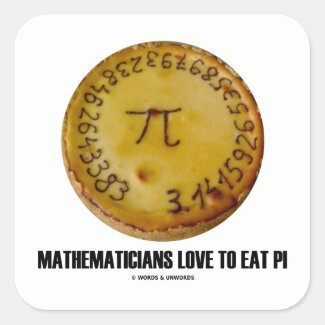 Showcase wry math geek humor with any of these gifts featuring the mathematical constant pi, along with the saying "Just Crazy For Some Pi". 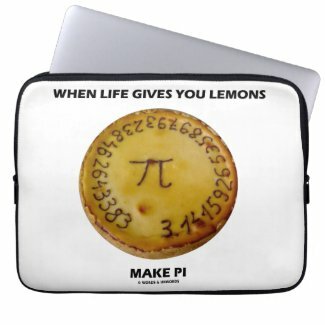 Make others do a double-take about exactly what it is that you are crazy about - whether it be pi, pie, or pi on a pie! 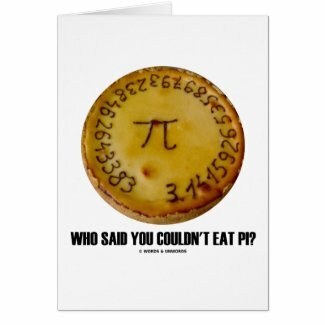 Word play gifts on the word pi / pie that will make others think carefully about what you mean!